1985 (November): Industrial Publishing Ltd (IPL) established as a book and video retailer, specialising in transport and technology subjects. Original directors were Arthur Allen and Geoff Churchman. 1988 (January): The first book published - The Midland Line: New Zealand's Trans-Alpine Railway, subsequently produced in 5 editions including one in German. 1989 The first video title published. 1997 (October) transpress established as a book distributor. 2000 (May) This website launched. 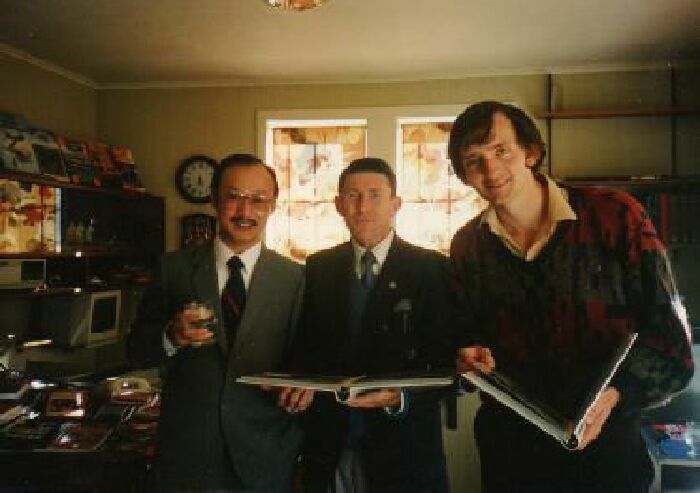 From left : Peter Ho of Kings Time (Hong Kong), our first book printer, Arthur Allen, Geoffrey Churchman. Photo taken on 26 February 1988. 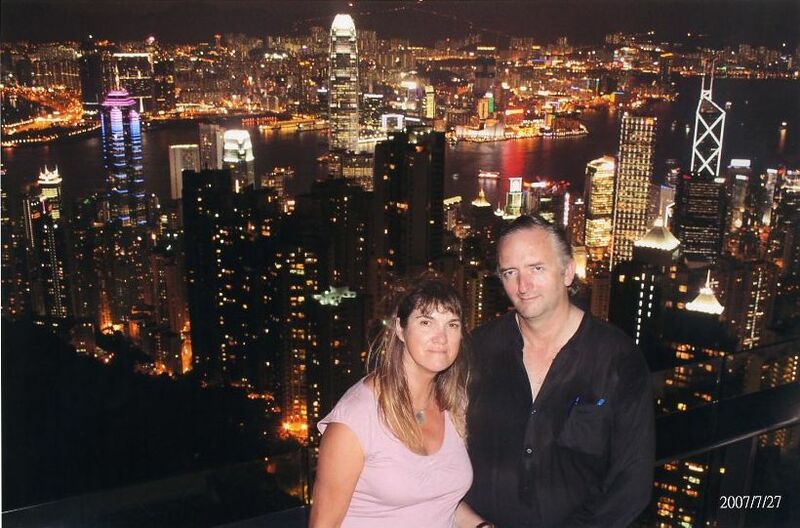 Directors Eva and Geoff Churchman in Hong Kong, 27 July 2007.